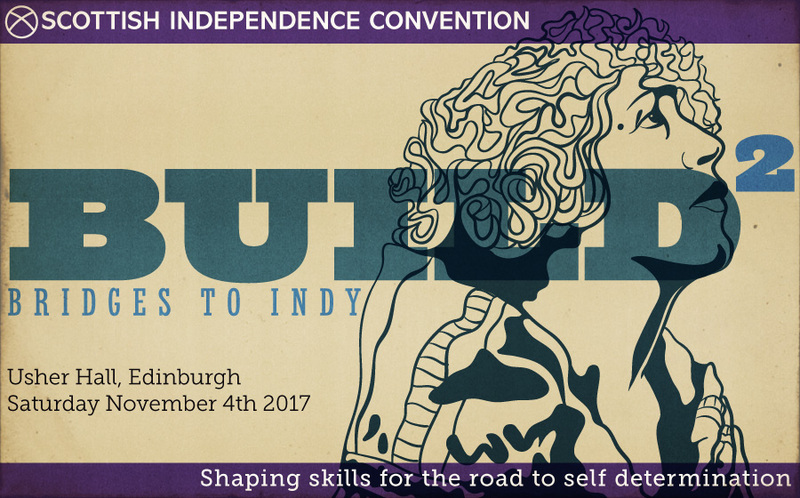 On Saturday 4th November the Scottish Independence Convention will hold a national conference called Build: Bridges to Indy in Edinburgh’s Usher Halls. Speakers from across the independence movement will explore the research, discuss answers to the big questions and the consider how to organise as the movement advances into the next year. Following on from January’s sold out conference in Glasgow, this conference aims to build on the work that is being done all across Scotland to outline practical steps that we can take to build bridges between ourselves and those who are not yet supporters of Independence. Iain Black, Robin McAlpine and Liam Stevenson. “It’s imperative that the Independence movement comes together to build bridges which can help people to come to Yes. In the last few months we have seen the chaos unleashed by the Westminster government’s inability to find a way through the post European referendum landscape. This, on top of a transparent attempt to undermine the Scottish Parliament and deny it 111 powers it should by right assume from Europe, is making more and more people realise that independence is the only way to safeguard Scotland’s interests. *Dr Iain Black of Heriot-Watt university was commission to conduct the research because of his experience studying the 2014 referendum campaign. He is a respected consumer researcher whose work includes examining the barriers to people enacting their stated intentions. “This is a vital time for Yessers to come together and explore how the movement can make a co-ordinated and effective case for independence, which doesn’t ebb and flow with the electoral cycle, but builds trust, confidence, local knowledge and ambition within the movement and offers alternative takes on media stories to receptive Scots – 24/7. The Scottish Independence Convention is a coalition of organisation made up of all national level pro-independence campaign organisations. It brings together independence-supporting parties (SNP, Scottish Greens, SSP), the national independence-supporting organisations (including Labour for Independence, Women for Independence, Radical Independence Campaign, Business for Scotland, NHS Yes, Common Weal and a range of others) and representatives of grassroots groups. I’d like to purchase tickets. Where do I get them??? Seems to be sold out in stalls and grand circle. Upper circle not an option. Any arrangements to buy up cancellations? If people phone up to cancel it will show on the booking form likely. The Upper Circle should appear as open for bookings on the form.